Passed your CFI Checkride, Now What? Let’s help you setup your shop. There are a few tools you would need, and then some that are recommended. Log on to IACRA like you always have, and click “Add Role” on the left panel. In the next screen select “Recommending Instructor” and submit. I do not remember if it’ll ask you for your CFI Number, but if it does, instead of PENDING, enter your commercial certificate number immediately followed by CFI. It takes a few days, but you will receive an email once it is setup. Now you may already have selected an employer Flight School for yourself, but it is still not a bad idea to setup your Flight Training Provider (FTP) account with TSA’s Alien Flight Student Program. Just in case, this one rich bastar* shows up with some cool equipment and wants to hire you outside of your Flight School job; now would not be a good time to start enrolling. Again, it’s a government website, so takes a few days to setup your account. Once setup, prospective students can select your name as an FTP from the drop-down menu, and upon your approval can go forward with submitting fingerprints through LiveScan and receiving permission to initial flight training. Not all students have to be on M-1 or other kinds of student visa for flight training. Before you provide any Flight Training to anyone, you will need to go through initial TSA Security Awareness Training. You will have to print (I print pdf and save on computer) the completion certificate and make it available for inspection by the TSA agents. Recurrent Training is due every 12 months. Your employer will make sure that you do this, but then, we want to stay proactive and independent, just in case that rich bastar* shows up. I got visited many times. If you build it, they will come. Every professional maintains professional memberships. I have always been a member with NAFI. Membership dues are $54/year. Cheaper than an hour’s worth of flight instruction! But they will give you so much value in return. Their monthly magazine, Flying, and the quaterly Mentor are full of enducational articles by the flight instructors for the flight instructors. And they offer a Professional Development Program. Oh, and the membership comes with typical discounts of Aviation Products. S.A.F.E. is the estranged step brother of NAFI. Once upon a time NAFI went off the track, and followed AOPA’s lead of wining and dining at the membership’s expense. But they did turn around real quick, thanks to SAFE. I have no personal experience with them, but the founders JoAnn and Sandy Hill were the original founders of NAFI as well. Really good people. You have invested so much time and money to be where you are today. Don’t get stingy with trying to get by without professional insurance. Besides the typical hull and liability coverage, it comes with legal aid as well. Know this for a fact, flight school insurance covers the flight school and no one else. No matter what they tell you. There were times in my life when I was paying over $15K monthly in flight school insurance, so you can take my word on this. And surely this insurance will some in handy in case you bump that rich bastar*’s airplane a little too hard on landing. They are rich but also cheap! Proportionally. Avemco insurance offers substantial discounts to NAFI members. Membership with FAAST is free. Get involved with them both as a student for professional development, and also as an Instructor to help out with Safety Programs. You can join on the website, but to be fully participating, you will need to call the local FSDO office and ask for the FAAST program manager. They are always extremely hard to get a hold of. Just be patient, call and email. Rewards will be juicy. This is how you run into the rich bastar*. And let me know when you do. 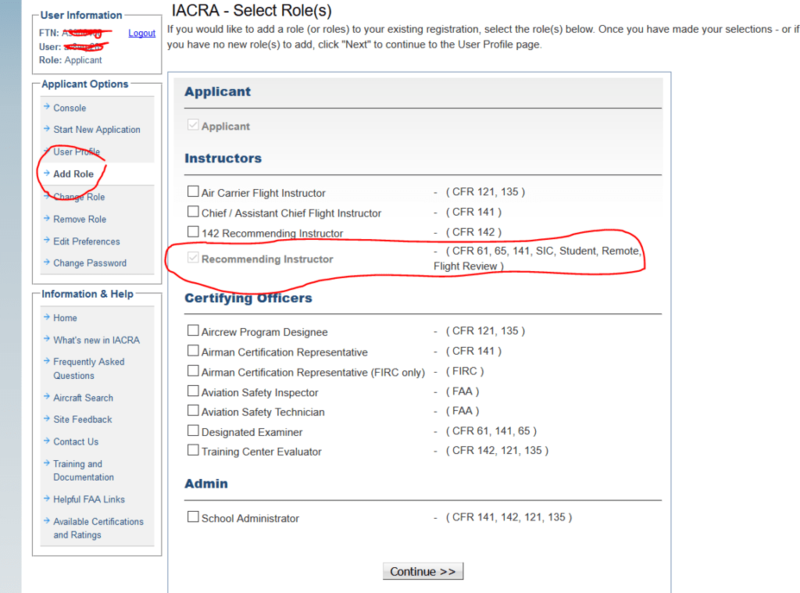 BTW, you are eligible for 3 phases of WINGS for completing your CFI course. If you decide to join FAAST, and need credit for the training here on FAAST website, you can look me up in the approved instructor section by my name. Every professional should volunteer one way or another in their professional field. Pick FAAST or CAP; I’d say both. Look up a local squadron that has senior members. Go and talk to the commander. Excellent organization, lots of good pilot training. And you’d be doing a service to your community. There are many out there. Pick whatever ones suit your style. I would (partial) highly recommend CFI Academy Facebook Group though. We have kept it clean of gossip, adverts, nuisance etc. We kick people out for no reason and we are still almost 7,000 member strong. Many CFIs, DPEs, FAA people in there, so don’t be writing stuff up that you can’t fess up. Get a copy of Savvy Flight Instructor Guide – by Gregg Brown, and read through. And then apply everything in it in your CFI profession. You will go long ways with this $20 investment. Reference letters hold a great deal of influence. Especially when there is a tie-breaker for that one job. Reference letters should be coming from friends (not family), employers, teachers/instructors, and customers. All have a unique value to them, and you should have at least 2 of each. If you need me to write you one, please let me know. CFI Academy’s brand name is well known and well respected in the Business Aviation world. I put in substantial effort continually towards this. If you already do not have an account on Linkedin, create one. And send me an invite. Here is my profile link. Refer to your AC-61-65F (I hope you still remember what that is) – the first 30 pages has tremendous information about things like FAAST program, CFI renewal options, and also for Gold Seal program. Ground Instructor certificate if one of the requirements.So if you do not already have an AGI, look into getting an IGI when you are prepping up for CFII written. Same question bank for both. Subscribe to my blog – there is a subscription box in the right sidebar, scroll halfway up. I’ve decided to post at least one educational post each week to share. It wouldn’t be the book stuff I promise. Start your own blog – invite me. I’ll come and check it out. MasterCFI.Org is going to be a blog hosting platform for the CFIs. Coming soon. Did you find this infrormation useful? you will be able to process Second In Command applications only. I just passed my checkride this week. Do I need to wait for my CFI number?